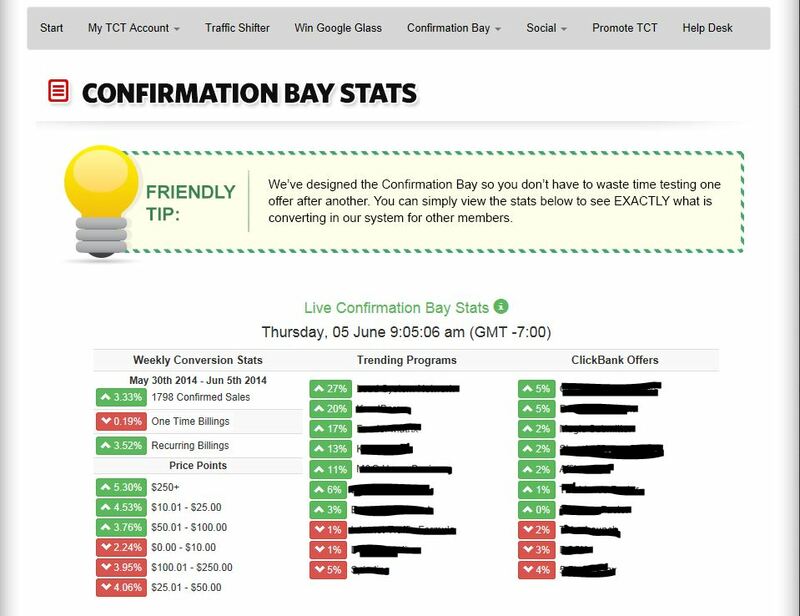 My personal Twice Confirmed Traffic Scam Review – Does it work in 2018? 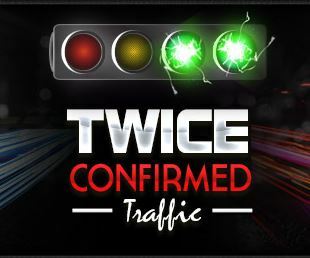 What is Twice Confirmed Traffic? Twice confirmed traffic is a paid traffic service, claiming to have completely changed the game of paid advertising. The service is supposed to be the resale of paid traffic (but they won’t reveal any details on the true source) which has been tested already by the owners to convert (once confirmed), and combined with an member community, where paid members can confirm if they made sales or generated leads – making it ‘twice confirmed’. Very easy to use, no training required as you simply need to add your links. About 1 in 20 people in popular forums claim to have made sales with this service. Unfortunately some of these positive feedback appear suspicious and could be fake. But I don’t have proof, so it’s only fair that I mention it. I tested this product myself, so I will walk you through what to expect. You sign up for the service with your credit card. It is a monthly recurring billing, and will continue until you cancel your subscription (which they did do promptly when requested). When you log in, there is some basic training, which I skipped because the concept is simple; you enter some links you want to send traffic to. The more links you enter, the more your traffic is distributed evenly across your links. The programs move everyday up and down as indicated by the arrows. I doubt whether this has any real resemblance, I think it’s all fake. Note that I blacked out the details, because most them were questionable products/services and do want to allow temptation to get the best of anyone. I added tracking links and left it for few days. When I checked back in, I found no sales or subscriptions. All hits was attributed as originating from a hitsserver.com – the claims about buying & testing traffic from different sources appear to be nothing but empty sales talk. Looks like just another guaranteed visitors setup. Nothing new about that, they have been around for ages, and are well know for not delivering results! I followed the suggestions of the ‘Confirmation Bay’, which claims to show what is converting for current members. However, I had NO RESULTS from my paid traffic and nothing to show from my money spent. This was a waste of my time and money, and I see reason why it won’t be the same for you. I suggest you stay away from paid traffic programs like these, and rather focus on taking charge of your own traffic through organic search engine traffic. Have you tried this service? Been scammed by another site? Leave me a comment and share your experiance, or ask a question if you have any. Are you sure that a you have write is true?! Yes, I have proof. You are promoting them as an affiliate but the facts remain. Thank you so much for reviewing this in depth and helping me keep my money! Are there any traffic generation services which are useful? Even if you can get traffic from a service like this, the traffic is completely useless. I bought a gig on Fiverr where I got hundreds of visitors (sometimes more than a thousand) in a day but not a single sale. I have tried this several times and it has never worked. The fact is that the traffic they get is of very low quality, The people they send to your website has no interest in what you are offering. So, no we must find other sources of traffic, either pay for serious advertising or fin free traffic through blogging, forums and social media. Thanks for a good review, looking forward to reading your next post. I have not found any paid traffic services which are worth their price. As you mentioned, the quality of visitors are very low and I have not seen any evidence of anyone actually getting results from these, which bring up the questions if these visitors real or not. Awww Jeez another wealthy affiliate murder at midnight drive by review by posting so called “scam review” by bad rating one product in favor of another – WEALTHY AFFILIATE. Guys I hate your marketing approach and the reviews you’re putting out there to promote wealthy affiliate products is becoming extremely generic and why would you even score wealthy affiliate a solid 60/100? After all you’re paying premium membership so you must have paid $47 or more for the internet business education that teaches you to write non genuine non tested reviews of other people’s product. Not tested? Have you actually read the post? I get it, WA is not for everyone. Especially not for the lazy or those looking for a copy & paste get rich quick scheme. Wealthy Affiliate works for me and I’d recommend it above anything else that I have seen over 10+ years. Since you are so critical, do have any valuable recommendations of your own to add?